Ljuba Moiz is internationally renowned as one of the most interesting and multifaceted artistic personality for her creative and poetic attitude to translate every score into the deepest and involving musical interpretations. She was born in Genova, from a family of Russian Hungarian origin, beginning playing piano at four, and she studied Piano, Composition , Choral Music and Orchestra Conducting at the Universitat Mozarteum in Salzburg, at the Musikhochschule Lübeck, at "Nicolò Paganini" Conservatory of Genoa , and at The Amsterdamse Hogeschool voor the Kunsten where she obtained the Soloist Diploma and Specialization for the Contemporary Music Performance. Ljuba Moiz studied several years with the famous pianist György Sándor, friend and student of Béla Bartók and Zoltán Kodály at the Liszt Academy in Budapest: his teaching about the piano and instrumental technique understood as a close connection between sound, motion, and expression, has played an important role for her analytical and musical development. She also studied in Koln with the great pianist Aloys Kontarsky, with whom she improved her knowledge of Olivier Messiaen and Leoś Janaček music who helped her focusing her research on the peculiar rhythmic diction and the poetical expression of these two Composers. Ljuba Moiz's particular expressive sound approach have attracted the attention of the major musical personalities: focal point for Ljuba's artistic growing has been the invitation by the Composer György Kurtág to study and work with him at the International Musician Seminars of Prussia Cove, establishing friendship with him and becoming interpreter and teacher of his music worldwide. 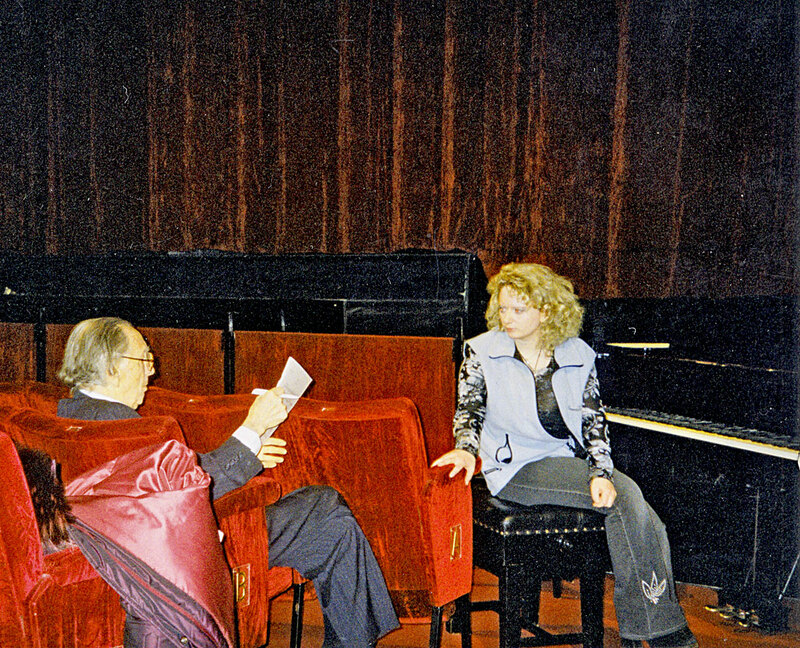 During her studies at the Conservatory of Amsterdam, thanks to the teaching of Ton Hartsuiker she was introduced to the study of the works by the main Contemporary Dutch Composers like Ton de Leeuw, Ton Bruynel , Louis Andriessen and many others: since then Ljuba Moiz is dedicated to the enhancement of their music such performing their work's premiere in important Music Festivals, as through several recordings and radio broadcasts. Devoted to the impressionistic and expressionist music of '900 century , her restless research with the links between contemporary music and the composers of the past have been encouraged by the praise and the advices of the pianists Murray Perahia, Radu Lupu, Richard Goode , the violinist Enzo Porta and the ensemble conductor Harry Sparnaay : she passionately dedicated to the rediscovery and playing in first world performances forgotten or unknown music works, arousing great interest among critics and public. After her debut at sixteen, wanted by György Sándor at the Wiener Saal during the Salzburg Festival,she played in Austria, Germany, Holland, France, Switzerland, England,Yugoslavia, Italy and Spain, and she is regularly invited to perform in n the main Festival and Music Seasons, like: the Salzburg Festspiele, Schleswig-Holstein Music Festival,, Festival of the Nederlandse PianoMuziek, Festival delle Nazioni of Città di Castello,Milano Musica Contemporary Music Festival,Società del Quartetto of Milan , Società dei Concerti di La Spezia, Musica d’Insieme ,Settimane Musicali Bresciane,Accademia Filarmonica di Bologna,International Holland Music Sessions Concerts, Centro italiano Studi Skrjabiniani, Dedalo Ensemble for Contemporary Music,"Amici di Paganin of Genova,,"International Lunae Concentus Music Festival"" Cora musicus","Festival pro mundi Uno" etc. She performs as soloist and in Ensembles of Chamber music, also in connection with other form of artistic expressions : in 2007 she played at the Teatro dei Filodrammatici in Piacenza (I) music by Alberto Savinio during an important painting exhibition of De Chirico's inedited works named "The Soul of '900". She played in Master Classes for Ton Hartsuiker, Hacon Austbo Bruno Canino, Andrea Pestalozza, and with the Italian Composer Salvatore Sciarrino at the "Filarmonic Academy"of Bologna , to whom she dedicated a Concert at the Italian Cultural Centre in Amsterdam titled " Memories from the Future", where she gave the Holland premiere of the work "Perduto in una città d'Acque". In October 2009 she was invited to perform in the prestigious Festival Milano Musica where she performed as soloist music by Messiaen, Takemitsu, and Ton de Leeuw "Man go their ways" Italian premiere. This Concert has been recorder by The National Rai Radio3Suite and broadcasted on February 2010. 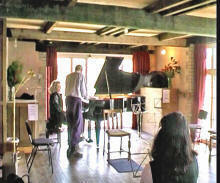 She gives lectures and Master classes as on '900 century and Romantic and Bach music interpretation, as on piano technique and physiology, collaborating with Conservatories, Music Schools and Art Institutions; parallel she dedicates to the music composition and painting and figurative art, and publishes many articles and essays for art and music newspapers. She has made numerous recordings for national and foreign radio and TV : Janaček , Bach, Kurtág, Ligeti, Bartók, Messiaen and Kodály music were broadcasted by "Scatola Sonora", "Grammelot", Radio3Suite, Classic FM, Austrian Radio ORF. She also made DVD video recordings for Limenmusic WebTV for music and arts playing, among others, rare pages of the almost forgotten romantic composer Stephen Heller. Guest artist in the famous national broadcast “The Music Room”at RaiRadio3Suite and interviewed by the musicologist Franco Fabbri, she performed live music excerpts from her latest CD "Playing with the Infinity", which has been chosen by the "Dvorak Society for Czech and Slovak music" to be included in their international catalogue of the leading interpreters of Leoś Janaček music. 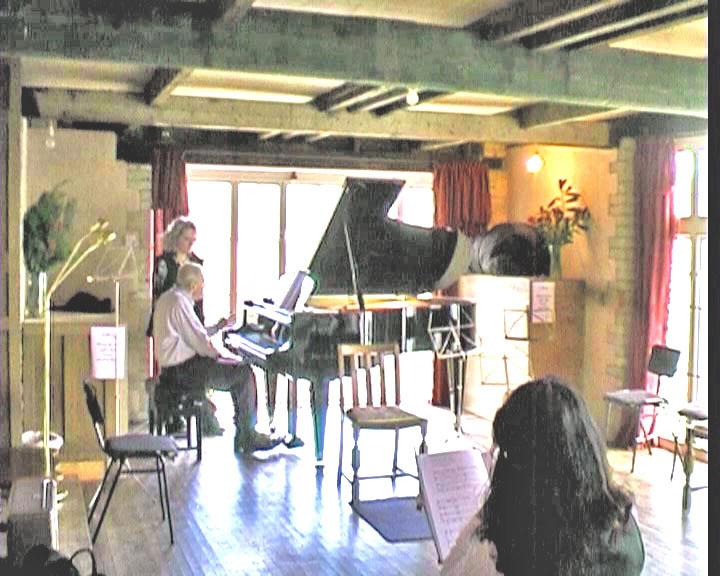 She performed the works of Ton de Leeuw and Ton Bruynel recorded in tiis CD at the “Festival Nederlandse Pianomuziek” in a way that would be certainly appreciated by the composers with whom I have been working a lot.